Curb appeal is one of the most important aspects of your home. Outdoor spaces, such as decks and porches are included in that curb appeal and are part of what makes your home functional, attractive, and valuable. Both porches and decks give you a way to enjoy more of your home and the outdoor space around it. 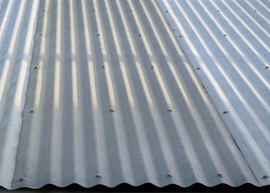 Both attach to your home and lead directly outside. A porch is normally defined as a covered addition to the home, usually added to the front, while a deck is an open outdoor addition, typically added to the back of the home. They have several similarities, but in this guide, we’re going to explore the differences in order to allow you to make a more informed decision of which to add to your home. Decks are outdoor extensions of your living space, normally located on the back of the home. Typically, they a part of your yard’s recreational space and may be included in your landscaping along with a patio, pool area, or outdoor kitchen. Decks can be used for outdoor recreational purposes, such as grilling, sunbathing, entertaining, and relaxing. They may have additions, such as fire pits or hot tubs, and may include built-in 1 furnishings, such as benches or tables. Porches are typically located on the front of the home as an addition to your entryway. 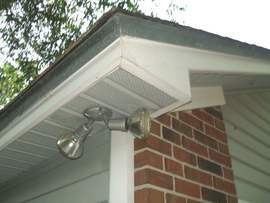 They are normally covered by an overhang or extension of your roof and are accessible by the front steps. Some homes may also have a sunporch or three-season porch. This may be located on the side of the house, and in addition to being covered by the roof overhang, they are typically screened in to give year-round access. Porches may be used for sitting and watching street activity, as a reception area for guests, and, in some cases, for outdoor storage. Porches and decks are very similar in construction. The main difference between the two is that a porch has a roof and is at least partially enclosed, while a deck is completely open. So, the installation process to construct the deck or porch itself is mainly the same. The biggest difference comes from the enclosure of the porch; is the roof overhang already existing or will the roof need to be extended out over the new porch? If an old porch is being replaced, the construction of the new porch or a new deck will be roughly the same. However, if a new porch or deck is added, the porch will require the addition of a new roofline 2, which would mean a more challenging and costly installation. The porch will also need a ceiling and possibly posts to support the overhang at the front. Decks, however, do not need these. Because a deck is completely open to the elements, some care may be needed to ensure that waterproofing is done. Otherwise, the material used to build the deck may be compromised over time by the weather. Porches with an adequate overhang may be able to use flooring or other materials not be suitable for decks. Decks are usually built of a frame made of pressure-treated lumber or wood. The decking material used to cover the surface or flooring of the deck, as well as any railings 3, privacy walls, benches, or ledges, however, can be made of several different things. 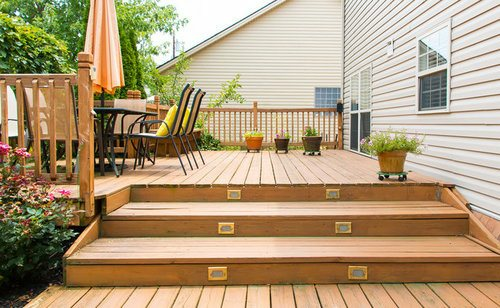 Pressure-treated lumber can be used to build the entire deck, but composite decking is the second most popular material, which is made of a blend of woods and plastics. In addition, fiber cement 4 decking and modified wood decking are popular options. Considerations for choosing a decking material include not only cost but also maintenance and how they feel in the sun. Composite decking has a tendency to become hot, making it inappropriate for bare feet. Composites may also become slippery when wet, making them difficult to use in wet climates. Porches are also built using a frame of pressure-treated wood and may be constructed of the same decking materials. The biggest difference between the two is that porch flooring is usually more finished-looking. Because the porch is covered, it doesn’t have the same issues with composites becoming super-heated. It may also need less maintenance overall because it will get less exposure to the elements. Fiber cement 4, modified wood, and pressure-treated wood can all be used to create a porch ceiling that will complement the home as well as the porch. The flooring of the porch may be a better quality of lumber, composite, fiber cement 4, or even an indoor flooring material like stone or hardwood. Pine, the most common decking material, costs the least at $7.50 to $9.00 per square foot. 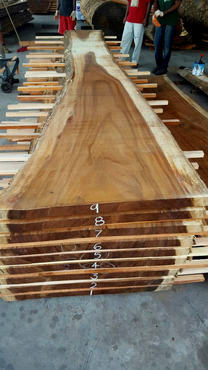 Exotic hardwoods 5 and modified woods cost the most at $18 to $35 per square foot. Labor may also vary depending on the material. For example, composites cost more to install than hardwoods, with most labor running between $13 and $36 per foot, making the total per square foot cost of building a deck between $21 and $71 per foot, with an average of around $33 per foot. An average deck size of 16 x 20-feet would cost between $6,720 and $22,720, with an average cost of $10,560. 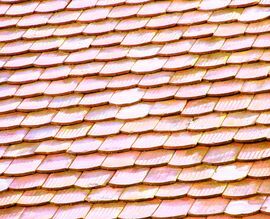 Porches have a similar cost for material and labor but have the addition of the roofing materials and installation. Most porches average $67 per square foot, with labor running between $20 and $40 per square foot, and materials costing about the same as a deck, with the additional cost of shingles 6, beadboard, and roof joists. A porch of 16 x 20-feet would cost between $16,000 and $30,400, with an average cost of $21,440. Both porches and decks lead directly to the outdoors. Because porches are generally on the front of the house, attached to the main entryway, they may be less safe for children and pets, as they could lead straight to the street. Decks are often located in the back of the house, where there is more likely to be a fence or section further from the road. Gates are relatively easy to install on a deck at the top of the steps to make it more difficult for a child or pet to get out. A porch gate may be more cumbersome, particularly if this is the main entry to the home. Both decks and porches require some degree of maintenance. This is largely dependent on the deck or porch materials. Wood decks require the most maintenance, needing to be washed annually and stained at least every two years. Composites require less maintenance, only requiring the replacement of damaged boards. Modified wood and fiber cement 4 decks are also low maintenance. Porches usually require less maintenance than decks because they are covered. A wood porch may need to be washed and stained every few years, as opposed to yearly. 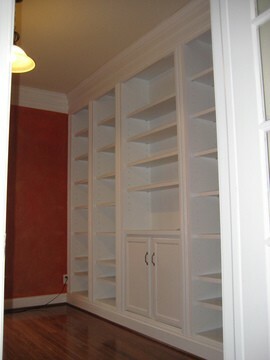 Man-made materials or modified wood may require little in the way of maintenance. The durability of the deck or porch will be tied in part to the materials. In general, because decks are exposed to the elements, they have a shorter lifespan and require more maintenance. Man-made materials, including fiber cement decking and composite decking, may extend the lifespan of both the deck and the porch. Likewise, modified wood products can also help. Style and appearance are largely dictated by several existing factors, including the style and architecture of your home, the function or use of the area, and your personal preferences. Contemporary or modern decks have become more popular lately, particularly with built-in benches, fire pits, and hot tubs to make them an entertaining spot or gathering place. Because the porch is seen as an extension of the home and has a bigger impact on curb appeal, it’s more important to match the architecture and aesthetics of the rest of the home. Since they have a greater impact on your entryway, porches have a tendency to be more formal in appearance. Any area of the outdoors can be subject to pests such as mosquitoes, wasps, and termites. For those who want to use these areas when insect activity is high, screened-in sections may help to keep flying insects out. Other options include using devices which attract and kill insects and things like tiki torches. Because both porches and decks are generally made of pressure-treated lumber, they are susceptible to both termites and other wood-boring insects, such as carpenter ants and some species of bees. Therefore, it’s a good idea to check the structure of the deck or porch yearly as part of your maintenance to catch and treat infestations early on. According to Remodeling Magazine’s Cost vs Value report, both composite and wood decks can raise the resale value of your home with an ROI of 65.2% and 71.5%, respectively. In addition, a well-maintained porch can have an effect on your home’s curb appeal, which is an important piece of how quickly a property sells, as well as the selling price. While adding a new porch may not raise the value, replacing an old porch that was falling down with a new porch that’s in better condition can help your home maintain its current value. How much does it cost to build a porch or a deck in my city? 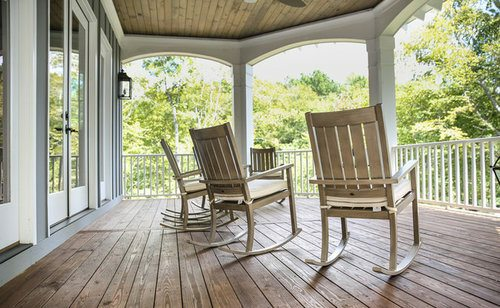 Cost to build a porch or a deck varies greatly by region (and even by zip code). To get free estimates from local contractors, please indicate yours. A building material made with cellulose fiber, concrete, and recycled materials such as glass. Cost Considerations: Fiber cement is currently recouping 84% of its cost when the property is sold, making it a good value home improvement. Special insulation is made for fiber cement siding, which adds to the initial cost but should lower energy bills.